4 Groove Models - SAME DAY SHIPPING - 10 YEAR WARRANTY! 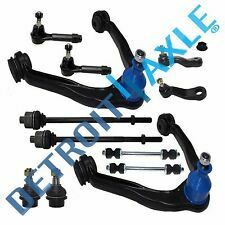 2 piece Kit Steering Pitman And Idler Arm Chevy Avalanche Tahoe Suburban Silverado. 1 x TVA-K6536 Pitman Arm W/4 Grooves. 1 x TVA-K6534 Idler Arm. CADILLAC ESCALADE 2002 - 2006 2WD/4WD. CADILLAC ESCALADE ESV 2003 - 2006 4WD. CHEVROLET AVALANCHE 1500 2002-2006. CHEVROLET SILVERADO 1500 1999-2007 4WD ; Excludes New Body Style. CHEVROLET SILVERADO 1500 2003-2005 AWD. CHEVROLET SILVERADO 2500 1999-2004. CHEVROLET SILVERADO 2500 HD 2001-2007. 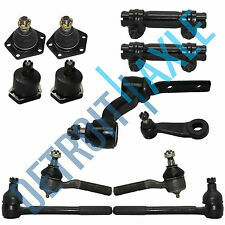 14pc New Complete Front Suspension Kit for Chevrolet and GMC Trucks 4x4 / 4WD. - 1x Pitman Arm - K6335. - 1x Idler Arm - K6447. FITS 4WD / 4x4 MODELS ONLY . [Press-in, 45.79mm Stamped Arm]. w/Independent Front Suspension. 2007 Chevrolet Silverado 1500 Classic LS-LT-WT-POWER STEERING-GEAR STEERING FRONT INNER. 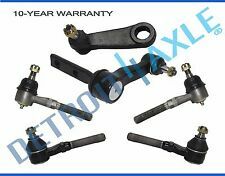 GES PARTS Steering Idler Arm One Year Warranty. 1 x Idler Arm. - Do not have missing parts, hardware or instructions. - Have not been used, installed or disassembled. Wrong Part. Missing Part. CrownDrop Pitman Arm. Jeep Wrangler (TJ) (1997-2006) w/ LHD; w/ Power Steering; Will Give 2" Drop. Jeep Cherokee (XJ) (1984-2001) w/ LHD; w/ Power Steering; Will Give 1" Drop. Jeep Grand Cherokee (ZJ) (1993-1998) w/ LHD. GES PARTS SteeringPitman & Idler Arm One Year Warranty. 1 x Idler Arm. - Do not have missing parts, hardware or instructions. - Have not been used, installed or disassembled. Wrong Part. Missing Part. 1x Pitman Arm-3 Groove Spline - K6654. 1x Idler Arm Bracket Assembly- K6723. 1x Idler Arm- K6535. 2001-2010 GMC Sierra 2500 HD. 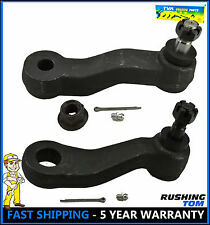 2x Front Stabilizer / Sway Bar Links - K80631. 2007-2010 GMC Sierra 3500 HD. Nissan D21 1986-1994 RWD. 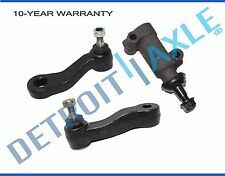 Steering Kit Component Idler Pitman Arm Tie Rod End Ball Joint For Chevy C10 R10. 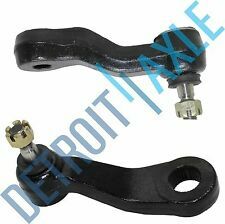 1- Front Idler Arm. Nissan Pick Up 1995-1997 RWD. 2- Front Outer Tie Rod. 2- Front Inner Tie Rod End. 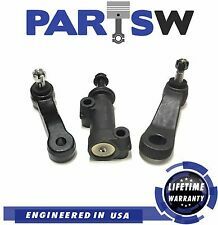 1 x Part# K6335 Pitman Arm -For Power Steering. 1993-2000 Chevrolet K3500. 1993-1999 Chevrolet K1500. 1993-1999 Chevrolet K1500 Suburban. 1993-2000 Chevrolet K2500. 1993-1999 Chevrolet K2500 Suburban. GES PARTS SteeringPitman & Idler Arm One Year Warranty. 1 x Idler Arm. 1 xIdler Bracket Pivot. 1 xPitman Arm ( w/4 Grooves/Splines ). - Do not have missing parts, hardware or instructions. - Have not been used, installed or disassembled. 1 X TVA-K6335 Pitman Arm. 1988 - 1991 GMC C2500 Pickup. 1988 - 1991 GMC C1500 Pickup. 1988 - 1991 Chevrolet C2500 Pickup. 1988 - 1991 Chevrolet C1500 Pickup. 1988 - 1991 GMC K1500 Pickup. 1988 - 1991 Chevrolet K1500 Pickup. HIGH QUALITY - US WAREHOUSE - SAME DAY & FREE SHIPPING! GMC S15 JIMMY 1983-1991 4WD. GMC S15 1983-1990 4WD. CHEVROLET S10 BLAZER 1983-1994 4WD. CHEVROLET S10 2004. GMC SONOMA 2004 4WD. CHEVROLET S10 1983-2003 4WD. GMC JIMMY 2005. GMC JIMMY 1992-2004 4WD. Chevrolet C3500 1993-2000 All Models. Chevrolet C1500 1993-1999 All Models. Chevrolet C2500 1993-2000 All Models. Chevrolet C1500 Suburban 1993-1999 All Models. Chevrolet C2500 Suburban 1993-1999 All Models. Drop; Steering correction. PITMAN ARM. 00-05 Excursion 4WD w/ 4-8" LIFT. Application: Build date 3/22/1999 to 2004 F250/F350 4WD w/ 4-6" LIFT. Drop; Steering correction. 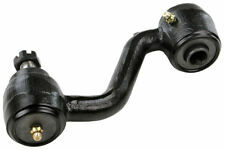 DROP PITMAN ARM 81-97 FORD F150. Application: 81-97 F150 81-98 F250/F350 81-96 Bronco w/ 2-6" Lift 2 & 4 Wheel Drive. 81-98 BRONCO 2-6" LIFT. We are not responsible for install mistakes. CHEVROLET BLAZER 1992 4WD. CHEVROLET C1500 SUBURBAN 1992. CHEVROLET C2500 SUBURBAN 1992. CHEVROLET K1500 SUBURBAN 1992. CHEVROLET K2500 SUBURBAN 1992. GMC C1500 SUBURBAN 1992. GMC C2500 SUBURBAN 1992. 1x Front Pitman Arm - K6255. CHEVROLET S10 BLAZER 1983 - 1994 4WD / 4x4. CHEVROLET S10 1983 - 2004 4WD / 4x4. 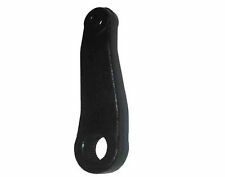 1x Front Idler Arm - 6251T. GMC SONOMA 1994 - 2004 4WD / 4x4. GMC JIMMY 1994 - 2005 4WD / 4x4.